A student excited to build his world out of LEGO at Play-Well Northwest. The former U.S. Secretary of Education, Richard Riley, recently said, “the top 10 in-demand jobs in the future don’t exist today. We are currently preparing students for jobs that don’t yet exist, using technologies that haven’t been invented, in order to solve problems we don’t even know are problems yet.” In the northwest region of the country, where constant innovation is the key to a strong economy, a center called Play-Well Northwest is opening. Its main purpose is to help build the problem solvers and innovators of the future through play. The creator of Play-Well Northwest, Play-Well TEKnologies, has been teaching engineering to kids using LEGO across the country for the past 16 years. Play-Well now teaches over 80,000 kids a year, but where some of the most creative endeavors happen are at their centers. 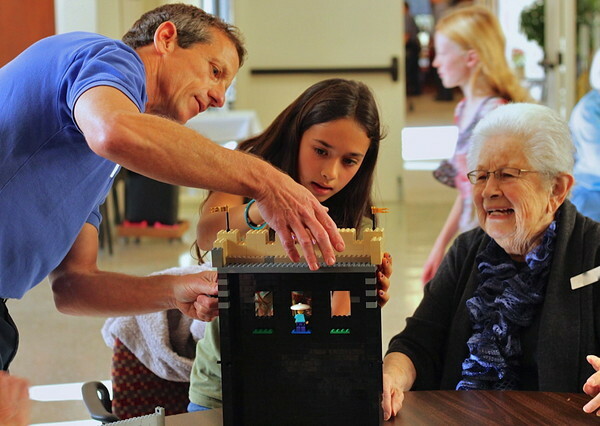 Play-Well Northwest will serve as an incubator of ideas, where kids get to help create, test, and play with new, innovative programs, from LEGO architectural workshops to LEGO engineering summer camps. 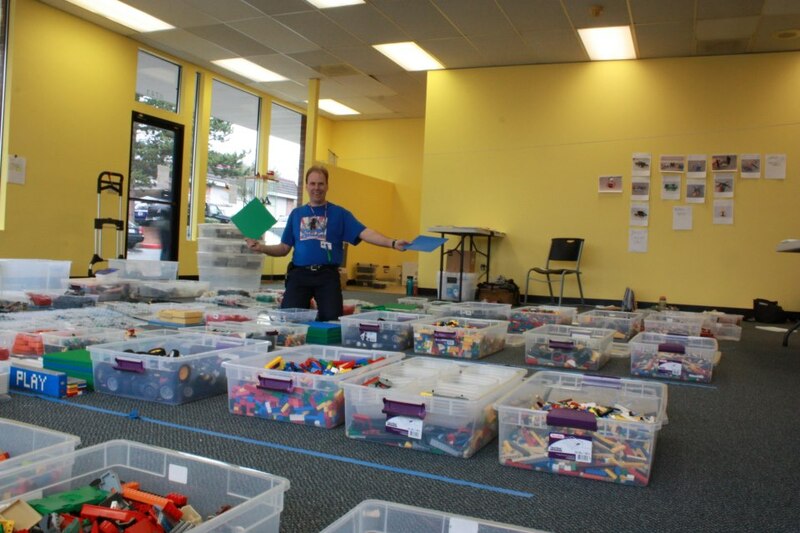 Center Manager, Brandon Jones, organizing all 200,000 pieces of LEGO in preparation for the grand opening. The World Economic Forum recently ranked the United States 52nd in the quality of mathematics and science education and 27th in developed nations in the proportion of college students receiving undergraduate degrees in science or engineering. Even with the big push for STEM education in the past decade, initial results have not shown a major increase in college graduates from STEM related fields. What is missing is the innovative play that encourages children to explore these fields. Here is what Brandon Jones, Play-Well Northwest Center Manager, recently said about Play-Well’s philosophy towards teaching: “we believe kids learn best through play. Play-Well Northwest was created as a space for children to explore, problem solve, and create through the world of LEGO.” Play-Well Northwest attempts to cultivate that level of interest in these fields through play, challenging kids to see the world as problem solvers and explorers. The grand opening serves as a launching pad to show how the center hopes to inspire the innovators that will solve the problems of tomorrow by simply playing today. Play-Well Northwest will be having its grand opening celebration on Saturday, May 18th from 10 AM – 5 PM. Play-Well TEKnologies believes that kids learn best through play. So, Play-Well Northwest was created as a space for children to explore, problem solve, and create through the world of LEGO. At the event, kids and parents will be able to test out new projects and curriculum, participate in engineering challenges, express themselves through building, and celebrate the opening with cake. For more information, please contact Brandon Jones at (425) 244-9361 or brandon@play-well.org. Play-Well TEKnologies programs are not authorized, sponsored or endorsed by the LEGO® Group. 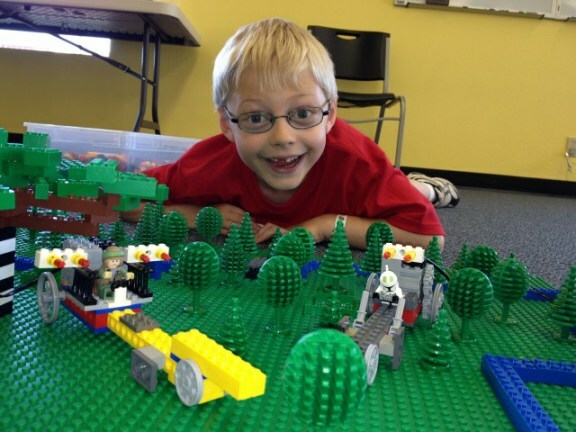 Red Tricycle Article on the Grand Opening of our Play-Well Northwest LEGO Activity Center!